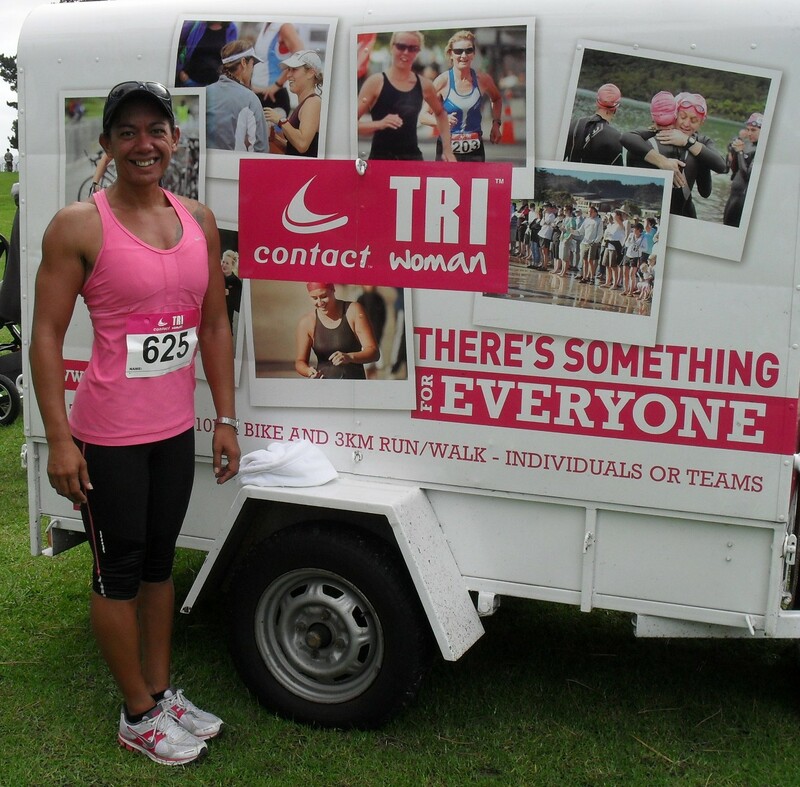 Today they held the last race in the Contact Tri Series at Pt Chev Beach. There were 276 women of all shapes, sizes, fitness levels and ages and 11 teams entered in todays event (the majority did the triathlon there were 45 women and two teams in my event). Thankfully after doing the last event in the pouring rain, the weather gods were smiling on me because even though Friday was pretty crappy weather wise, today was a stunner! I turned up 10 minutes before transition was due to open as parking around Pt Chev is atrocious. Thankfully I found a park near the back entrance to the park, so it was actually pretty easy getting all my gear to the transition point. I worked out where I thought the bike leg would start and nabbed a spot for my gear, then ambled over to sit in the sun and have some morning tea as I had an hour to kill before the race began. The atmosphere was jovial and even the queues for the toilets were pretty short. At 10 am we set off on our first leg a 1.5k run. 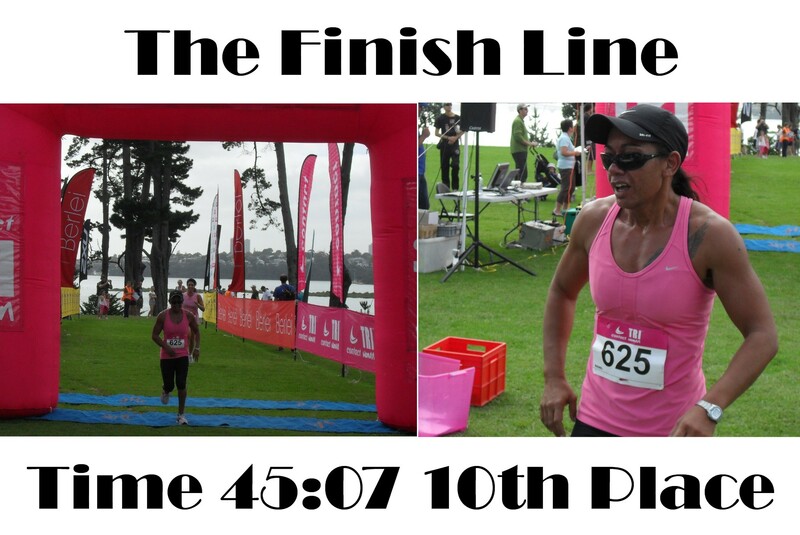 The course was flat so the runners flew ahead, but I just kept my own pace and plodded along. On my way back to transition I spotted James, he had bought Elias down and they were going to cheer for me! 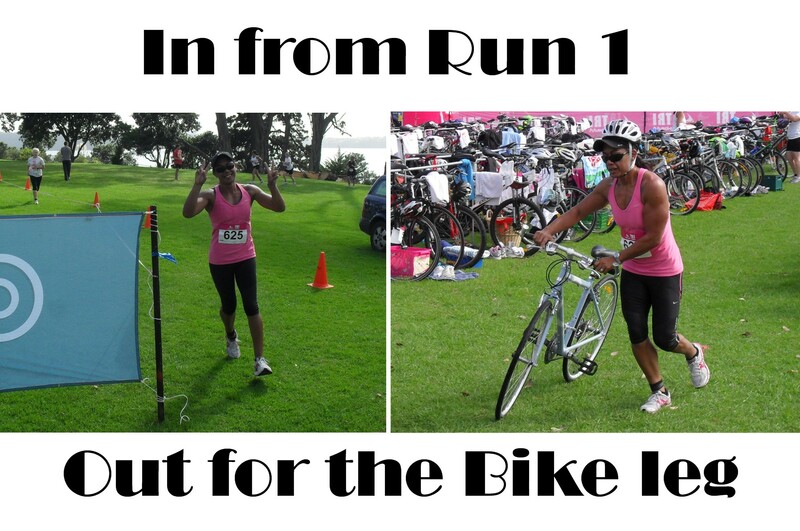 Next up was the 7.5k bike leg. The roads weren’t closed for this event and there was a schools sports event along the course so it was busy and dangerous, but I got through without getting myself killed (although there was one car that I yelled the F word at as they pulled right out in front of me)! I actually overtook quite a few of the “real runners” on this leg as thanks to my tree trunk quads I just put my bike in a low gear and went hard. Heading back in to transition I heard James calling .. “Go Mummy” .. bless him. 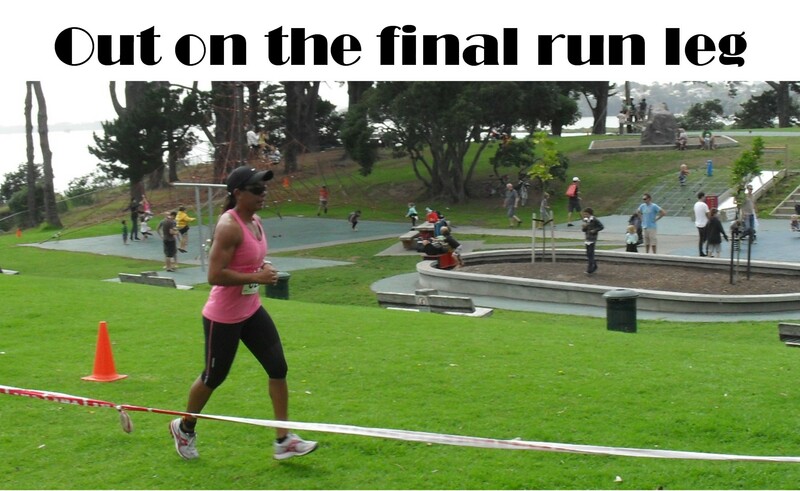 The final leg was a 3k run. 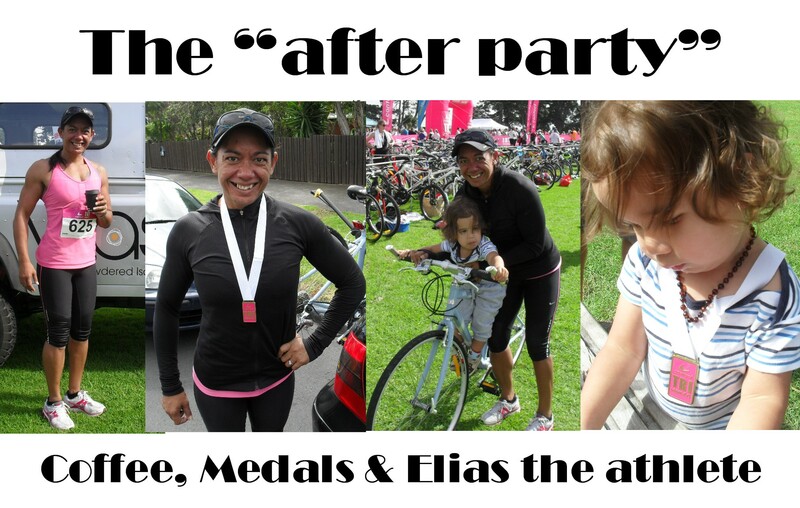 It actually seemed like forever as I ran up Pt Chev road looking for the turn sign! Thankfully one of the “real” runners that had shot off at the beginning was about 20 meters ahead of me, so I just concentrated on keeping her in my sights. When we finally got to the turn sign I just kept her in sight and thought to myself, nearly there Julia, you can do this just keep going. When we got back to where I knew the park was close although I was knackered I managed to pick up the pace a little and when the finish shoot came I even had a wee sprint left in me! Would I do this again? – sure! Would I actually train for it? – Specifically for it? Truthfully?, probably not. You are awesome! No training for the event and you killed it. I also love your arms! dang girl! !